March 13, 2018 at 11:39 am. 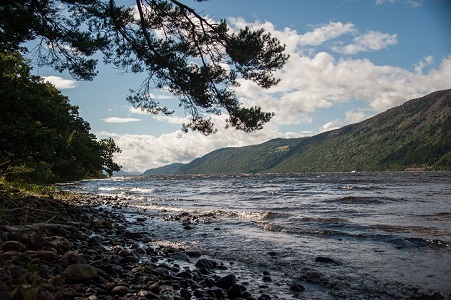 Holidaying in Loch Ness is full of rich horticulture thanks to its tended parks and gardens, wild woodland and landscaped Highland estates. Locals, tourists and conservationists treasure every inch of soil. Through conservation and a thriving habitat the wild hills of the Scottish Highlands continue to bloom. The landscape is a huge part of tourism and people come to see its formal garden displays and its majestic wild terrain what ever the weather. From sprays of daffodils on forest floors to beautiful rose gardens that surround old castles to cascading heather billowing off coastal cliff sides, Scotland is a country of colour. Of course, when Spring comes it can seem that there are way more flowers and colours then any other time of year. Here, we look at the flowers that create the most splendid, colourful and delicate displays right through to the gritty heart of Scotland’s natural landscape. The variety is vast and the effects are spectacular. Continue reading for some visionary wonders that will really get you in the mood for spring. Widely seen in sandy, coastal soils, Gorse begins flowering occasionally during the late autumn season and continues to bloom throughout winter until flowering fully in spring. It’s hillside appearance is different when viewed close up. All together, gorse has a real shrubbery effect as if covering everything in its vicinity. However, if you look at this flower up close, it really is the most delicate and feminine looking flower. Evergreen gorse is tough, thorny and an excellent windbreak against the cold Scottish sea spray. However, its pretty buttercup yellow petals also makes it the prettiest countryside backdrop. In Scotland, farmers traditionally use gorse as a winter feed for cows, ponies and other livestock. And its party trick? It exudes a scent similar to that of a coconut when in full flower. Looking for that world famous purple spray across wild highland hills? Then you’re best searching out heather ling, also known as the native Scottish heather. This billowing and resilient evergreen mountain plant provides a comforting and nostalgic scene. Despite its tough appearance, the heather ling must be planted in a water-retentive soil and given an annual trim in order to thrive in all weathers. Heather Ling flowers from July to September making it a Scottish Highlands summer holiday postcard favourite. The Bell heather has brighter purple/magenta blooms, and is normally found in high and rocky places. It’s more at home planted in thin, gritty soil with high drainage. The Bell Heather normally blooms slightly earlier than the ling variety. In the wild, they often co-exist, with ling lining the damp hollows of rocks, and the bell inhabiting the drier areas. 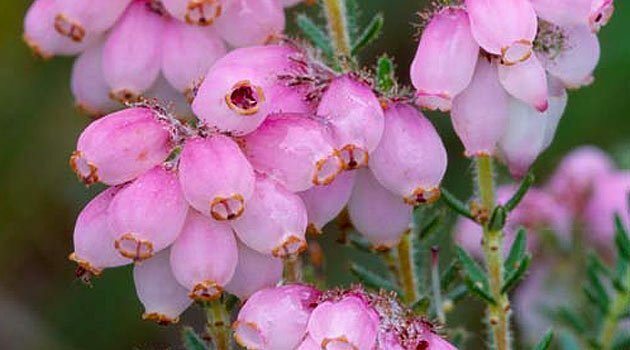 Should your holiday be in the Highlands during winter, rest assured you will be able to find hardier heather varieties that bloom during the cold season. Heath is a rarely found relation of heather, yet also thrives in wet soil landscapes. In its ideal setting of soggy and muddy areas, heath produces mid-pink blooms at the tip of the stems. It offers a generous flowering period between June and October. A historic thought? Charles Darwin theorised that this specie might be partly-carnivorous, due to it possessing glands. However, later research suggests that these flowers were more likely to help the heath cling to its exposed surroundings in high winds. The name even sounds beautiful, however, in Scotland the Bluebell is more formally known as the Harebell, and is not to be mistaken for the English bluebell. Aesthetically, it is generally bushier and features delicate, branching stems and larger, bluish-purple bell-shaped blooms. Unlike its English cousin, (which flowers in woodland shaded areas), the Harebell is adapted to poor, moorland soil. It is mostly seen mainly in the dry upland areas as opposed to hidden trails. Thankfully, the English bluebell is very common in Scottish woodlands. 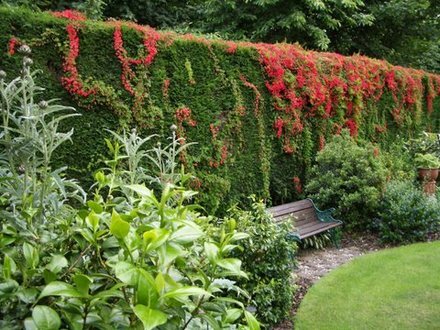 This benefits those holidaying in Loch Ness who want to appreciate both plants, which are accessible in various tourist spots, including formal Scottish gardens. The bluebell flowers continuously from late spring into autumn. Interestingly, the harebell is under threat from the introduction of the new Spanish bluebell. The Spanish bluebell is much more aggressive in its reproduction. The native British Bluebell is now protected by law thanks to conservationists. 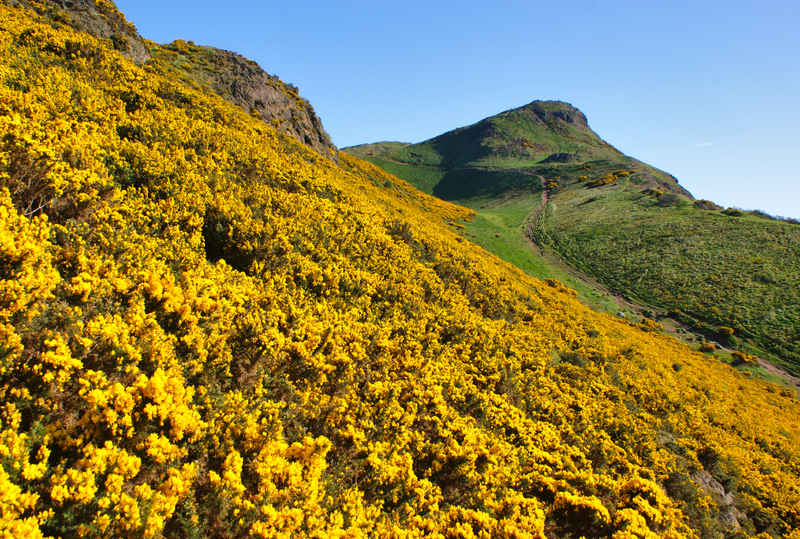 This spectacular climbing flower came to to Scotland in the 19th century. The Scottish Flame flower has roots that go all the way to Peru. This plant is so loved here in Scotland that ‘Scottish’ has been added to the name. This romantic flame flower can be found cascading down the walls of old Highlands gardens. This striking plant can grow up to three metres tall and its extravagant scarlet petals bloom in the late summer season. You can expect this plant to flower from July to September, and during autumn you can expect to see the arrival of luscious blueberries. A cooler summer is the ideal environment for this Scottish plant and it thrives in shaded, moist, peaty soils. 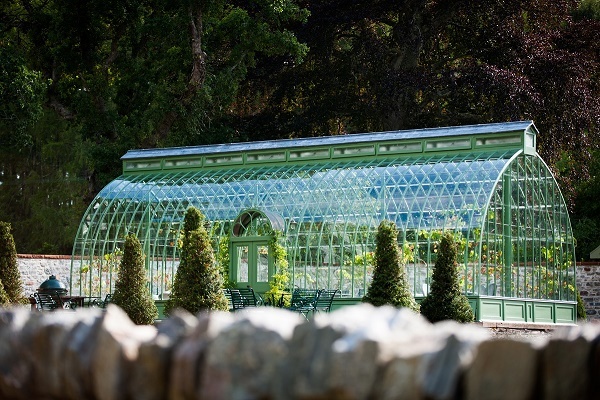 The flame flower is edible and would be the ideal addition to Aldourie Castle Estate’s walled garden. Our Chef would love to pick this for his artisan style fruit or green salads. Where England has the rose, Scotland’s national flower is the thistle. However less beautiful by far, there’s no denying its resilient and unique nature. It’s a true symbol of Scotland and we are proud to feature it as part of the design on our website. 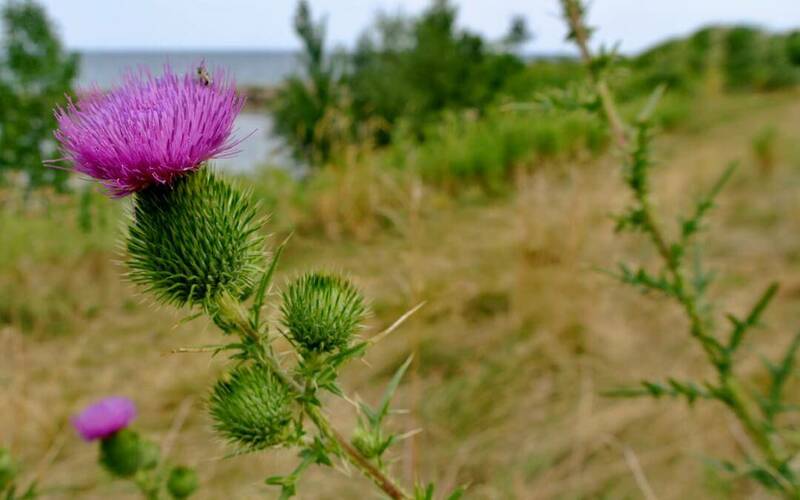 The Scottish thistle grows tall, and strong as well as growing up to five feet in height. Once upon a time the thistle was regarded as a weed, but most gardeners recognise it now as a flower. The thistle would be perfectly placed in the Aldourie Estate’s arboretum or woodland, for a wild, fairytale look. The thistle is naturally happiest in poorer soils, waste ground and roadsides. Despite its name, is quite rare in Scotland! The Melancholy Thistle is also found throughout the Scottish Highlands. This plant elegantly overlaps purple-edged sepals, with reddish-purple florets. Keep an eye out for these flowers along your Highland country walks. Are exclusive use stays good for your wellbeing? September 30, 2017 at 2:07 pm. What do people want from an exclusive use holiday? Why would a group of guests choose to stay in a property that’s there just for their enjoyment? Why is it more exciting to celebrate with your own family and friends without having strangers celebrating around you? Isn’t the answer obvious? Not exactly, because exclusivity might mean something different to each person. Here we explore a few of the reasons why guests opt for exclusive use stays in a property, the reasons they might not even know themselves. We also throw in a few examples of where Aldourie Castle estate has placed the utmost importance on exclusive use. The world is changing and with it so are people’s perceptions and priorities. Mental health awareness, placing importance on more family time and being ‘in the moment’ are all ways in which individuals in society are striving for the ultimate wellbeing. Why is it so important we find that elusive work-life balance? To be truly happy we need to be around those we love and cherish. But in order to enjoy the company of loved ones doesn’t there have to be a degree of ‘luxury’, of comfort, that only money can buy? And if that intimacy can be found inside a world of natural beauty and fresh air combined with regal splendour and relaxation, then that surely will make anyone feel good. Everyone enjoys the privacy of being at home. Although the whole point of going on holiday is to be away from home, when you choose an exclusive use holiday it’s likely because you want the ‘home from home’ feeling. Aldourie Castle Estate is continually striving to make your exclusive experience even more exclusive. Take, for example, our brand new private bathroom for Nursery Bedroom that has taken the place of a shared kitchen for exclusive use guests staying in the Nursery suite. There are already numerous public rooms in the Castle perfect for idle conversation, dining, drinking and relaxing with your clan. However, as individuals, we need to always be able to retreat to our own personal sanctuary. 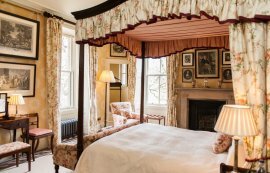 During exclusive use stays at Aldourie Castle you can be confident of the right balance of shared and private space. Who doesn’t want to feel special from time to time? When you know you’re getting a pretty unique experience in a one-of-a-kind property with its own personal heritage, it will undoubtedly make you feel special. For instance, exclusive use stays in a private castle are perfect for anniversaries. For a one-off celebration with your loved one it makes sense for the location to be just as unique. So, what makes our exclusive use guests feel special? At Aldourie, for some it’s waking up to a view over Loch Ness every morning, indulging in a home-cooked Scottish breakfast then taking a steaming mug of coffee down to the treehouse for half an hour with a ‘classic’ from the Castle library. For others it’s grabbing a perfect-fit pair of Hunters wellies from the cloakroom and wandering the peaceful woodland alone for a sense of well-being. Or bathing next to a huge Georgian window overlooking the parkland with no other person in sight. 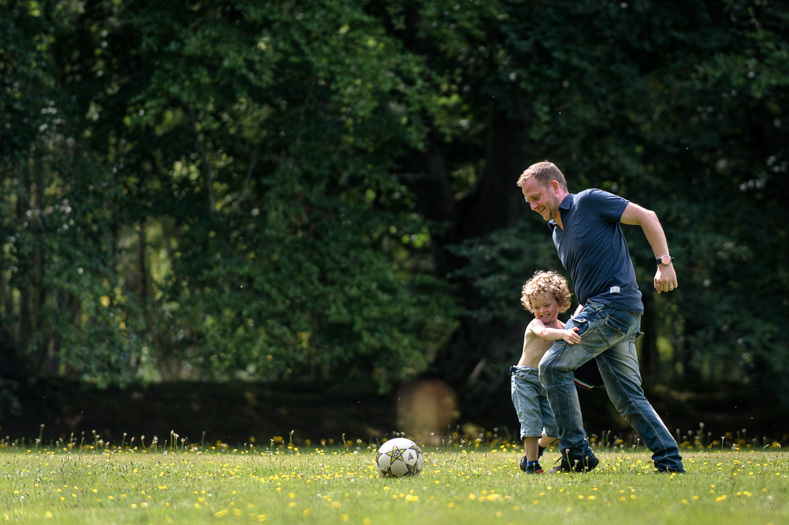 It might be a game of football with the children before dinner in a never-ending parkland meant for nobody but you. Exclusivity; yes it’s indulgent, but it’s also an opportunity for self-preservation. Have you ever been on holiday and things went wrong? You suitcase doesn’t appear on the conveyor belt. Your luxury villa you booked online resembles nothing of its description and photographs; not so luxury at all. Your credit card won’t work abroad or your bag gets stolen en- route to the hotel. Your nerves start to jangle; things aren’t as they should be, and you’re in a place you don’t know. 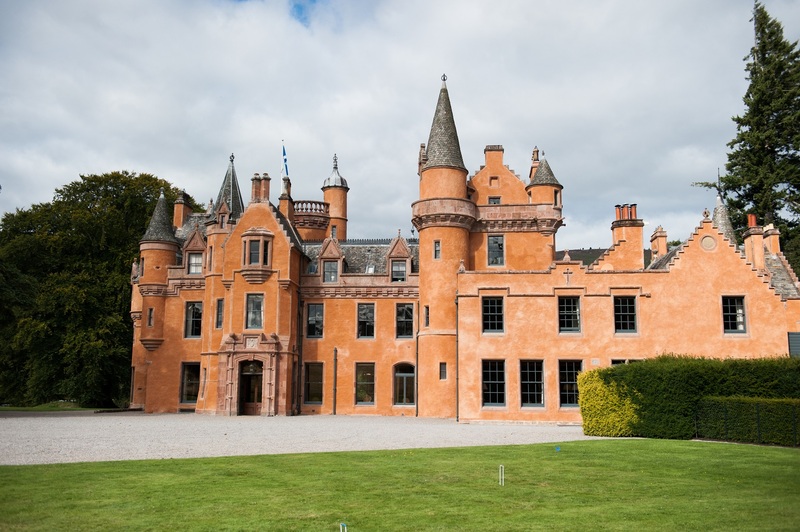 Exclusivity gives you an instant peace of mind; at Aldourie, in our private Castle, should you have any problems, each member of staff is there to help you and only you at any time. You can start to relax because you don’t have to get anyone on your side or wait until someone is available to assist you. With exclusive use an entourage, if you like, can be at your side to assist you from the moment you arrive until the moment you depart. And there’s definitely comfort in that. Remember curtain twitching? You don’t tend to get much of that these days. The idea of uniqueness is so much more appealing. Who wants to have the same, but better, these days? When it comes to experiences, whether for yourself alone or with family and friends, the more ‘out of this world’ it is, the more in touch with reality you feel. There’s so much to see and do in life so why not go for something different. 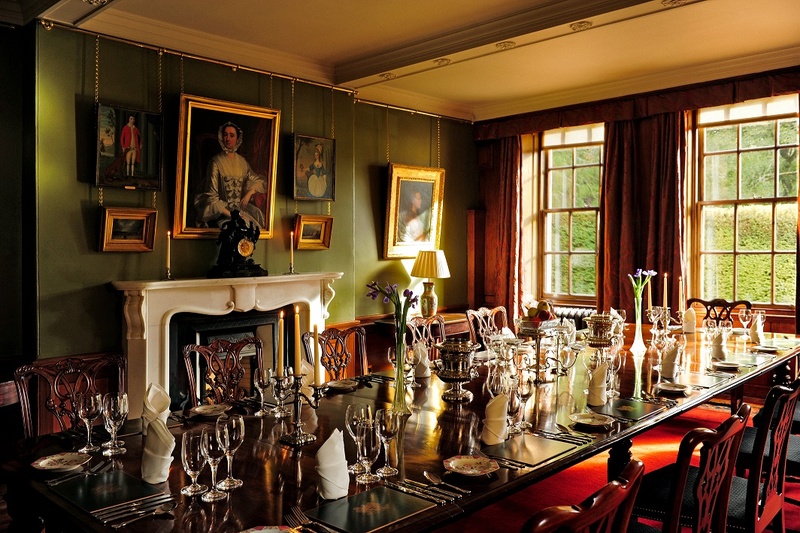 When you and your clan arrive at Aldourie, one of the most charming and welcoming exclusive use properties in Scotland, you truly feel as though you’re the only ones to have ever stepped through the door. Wouldn’t you prefer to make incredible memories in a place that feels bound in history over a modern hotel with characterless facilities and a simple seasonal menu. 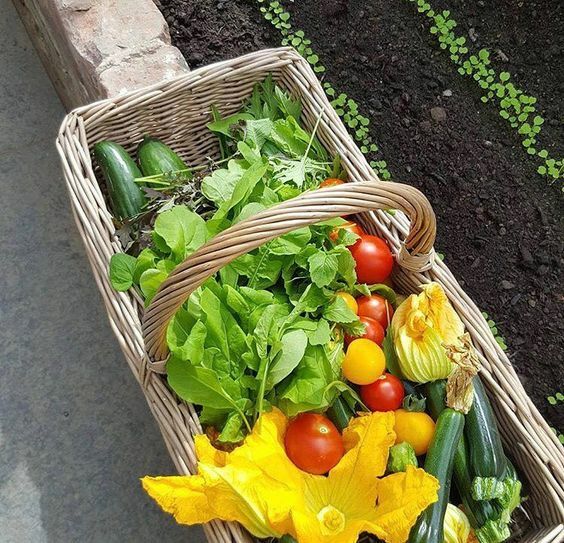 At Aldourie you can taste the earth on which the Castle sits, pick your own fruit and veg and ask Chef to rustle up something tasty for dinner. You make your own experiences here rather than sharing in a tried and tested package that seems to suit most people. The combination of a private holiday property in the spectacular Scottish Highlands might just send you into wellbeing overload. With hundreds of miles of beautiful natural landscapes so wild and otherworldly looking you have nowhere to be but in the moment. Here, inside Aldourie, you can experience the joys of a luxury home offering you privacy, absolute comfort and everything you could possibly need at your fingertips. Outside, on the Castle’s doorstep, not only is there a private 500 acre wilderness for you to enjoy, but the wider Highlands boasting some of the most peaceful scenery known to man. A day of walking or cycling in the Cairngorms National Park could very well leave you speechless. Hopefully, however, it will leave you with enough breath to reminisce over your shared exclusive use experience with family and friends for years to come. September 16, 2017 at 9:34 pm. What’s the best thing about a luxury golfing holiday? Is it the fact that you’re one of a kind, all holidaying together with the same sport in common? Or that you get to play your favourite sport all week long with no interruptions of family or working life? Or it is the restfulness and the peace, and the luxury it comes with? We have an inkling at Aldourie that it’s something to do with all the above. Aldourie Castle Estate on Loch Ness is situated only six miles from Inverness Airport. This makes it one of the most convenient luxury travel destinations in Scotland. During your golfing holiday in the Highlands your exclusive use party would use Aldourie Castle as your luxury base. From here you could experience unique, five-star hospitality including luxurious bedrooms and bathrooms. 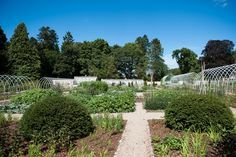 You’d also experience exquisite home-cooked food cooked by Aldourie’s private chef, and exclusive use of a privately owned Castle. All this is set within a 500 acre estate in the spectacular and tranquil Scottish Highlands. As part of your exclusive luxury golfing holiday on Loch Ness you would also receive a private concierge throughout your stay. Aldourie’s hospitality team is renowned for being discreet. Our dedicated hospitality manager would also arrange, should you request it, daily transport to and from your golf course/s of choice. The combination of the beautiful exclusive castle and grounds alongside golfing at your favourite golf courses in the Scottish Highlands creates a perfect luxury golfing holiday. We’ve put together information about all the nearby award-winning or championship golf courses. This will hopefully make planning your golfing holiday at Aldourie as easy as possible. Nairn is one of Scotland’s finest golf courses and has a picturesque location tucked into the shoreline of the Moray Firth. A famous location for a championship golf course which was founded in 1887. Its origins were as wild as the Highland terrain itself; an untouched wilderness overrun with heather. Now a beautiful lush green land with testing peaks and troughs, Nairn is home to both professionals and amateur golfers. Special feature: No matter where you play on this classic golf course during your luxury golfing holiday you can admire the surrounding spectacular scenery. 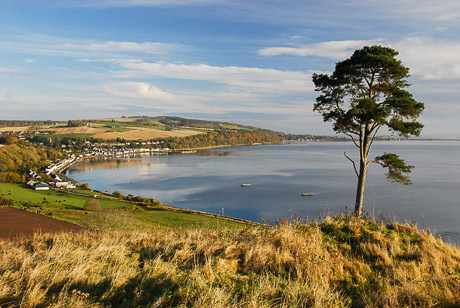 From every hole golfers will glimpse the calming waters of the Moray Firth. Visiting golfers: The sophisticated-looking website makes it very easy for individual golfers or groups of golfers to book a tee time and any required equipment. The golf club features all the standard facilities, a selection of bars and a modern clubhouse. Described as ‘A beacon reaching out to golfers throughout the world’, Castle Stuart is evidently very dear to the Scottish Highlands. Like Nairn, this championship links course also looks out over the Moray Firth and is the closest professional course to Aldourie Castle Estate. Links courses have many distinguishing features, Castle Stuart in particular. The main difference from other courses is the topography. This one features rumpled fairways and natural bunkers guaranteeing you a challenging day of golfing. Infinity edges serve to accentuate the spectacular Scottish Highlands landmarks along the Moray Firth skyline. Step forward Chanonry Lighthouse and Fort George. A ‘landscape mosaic’ refers to the varied texture and colours that form the course itself. The land at Castle Stuart changes with the seasons bringing a rich tapestry and a rugged beauty to the golf course. This heightens the experience for anyone privileged enough to play here during a luxury golfing holiday. Special feature: The clubhouse at Castle Stuart is an architectural joy. It’s a circular drum sat in the midst of this wild terrain looking out over the waters. It was designed to showcase the panoramic spectacle of the surrounding landscape. What a dream for golfers and nature loves alike to sit here and appreciate the unmatchable beauty of the Scottish Highlands. Visiting golfers: Castle Stuart’s link course is part of a large resort featuring a wide selection of eateries and other facilities. 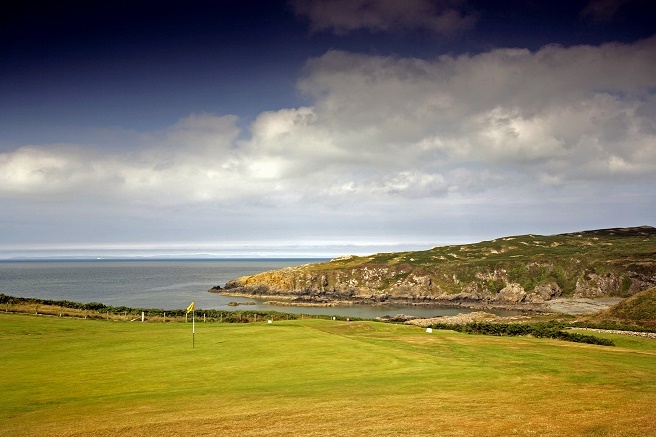 The excellent website provides a fully comprehensive guide to the links course. This includes a map, aerial flyover and a virtual tour of every hole. This is very handy for golfing enthusiasts meaning you can concentrate solely on your golfing experience as soon as you get to Castle Stuart. The history of this Scottish Highlands’ golf course is nearly as impressive as the golfing itself. Royal Dornoch is a 400-year-old golf course. In 2016 it celebrated this incredible heritage with a year-long tribute to the sport. The celebration also touched on the course’s impact on the local community and town of Dornoch. It originally started as a 12-hole ladies course before becoming an 18-hole course in 1999. 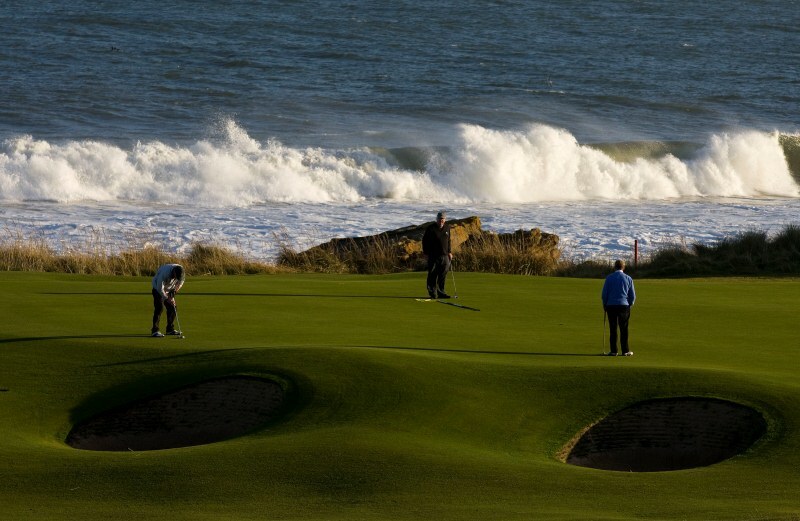 Royal Dornoch is a ‘must-play’ golf course by professional standards. 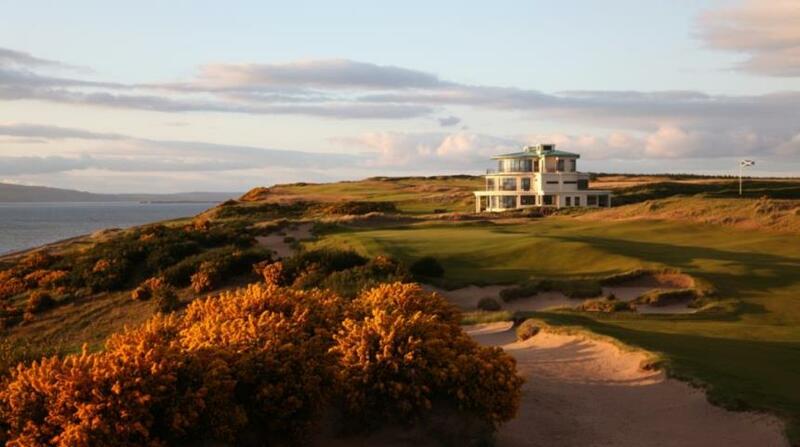 Like Castle Stuart is also one of the finest links courses for a luxury golfing holiday in the Highlands. It boasts a beautiful, ‘spellbinding’ setting that despite its well-maintained structure has a sense of wild abandon about it. This is yet another championship course (why would you want to golf anywhere but the Scottish Highlands?). It’s ranked No 5 in the world, and No 1 In Scotland (Golf Digest, 2016). Special feature: Royal Dornoch is set against the backdrop of the Dornoch Firth. The course is separated from the water’s edge by a strip of pure white sandy beach. This freeing course will bring you back to nature and, as its website states; ‘it all feels very humbling’. Visiting golfers: Royal Dornoch caters for frequent visitors and loyal members so the standard of everything here is exceptionally high. Golfers who visit this course will receive a relaxed and informal golfing experience. And in addition, just like at Aldourie Castle, a traditional Highland hospitality. Guests can enjoy a variety of dining experiences here throughout the day. Why choose luxury exclusive use accommodation over a hotel? 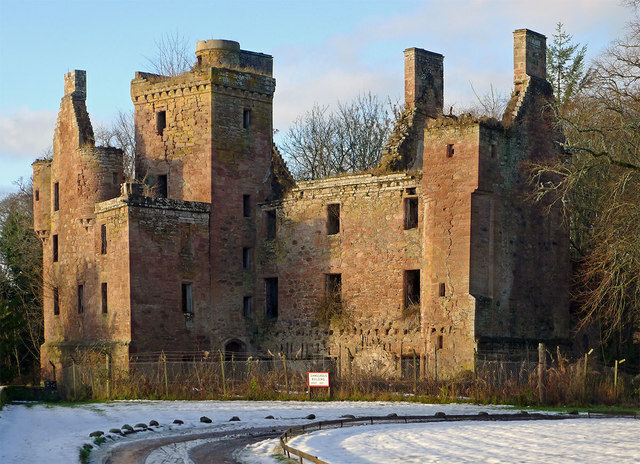 Aldourie Castle is just six miles from Inverness, the gateway to the Highlands. It is within close proximity of main roads, an international airport and rail station. As a result, it is an ideal luxury travel destination for large groups. You will not find that all exclusive use properties have an easily accessible location however, but many, like Aldourie, will feature their own private grounds. 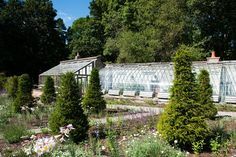 Aldourie Estate is made up of woodland, open parkland and landscaped formal gardens. The Castle is literally on the shores of Loch Ness so you’ll find plenty here to keep you entertained when you are not golfing away from the Estate. You get a much more personal touch when staying at an exclusive use property. The Castle has its own personal chef who manages a small hospitality team during your private dining experience. Imagine returning from a day of luxury golfing to be catered for in a magnificent Castle by a small but dedicated team of staff. It doesn’t matter what hotel you stay in in the world, you are never as privileged as when you stay somewhere that is exclusively yours. After a long day of golf with your group, you’ll no doubt be harbouring a few aches and pains and ready for a good night’s sleep. 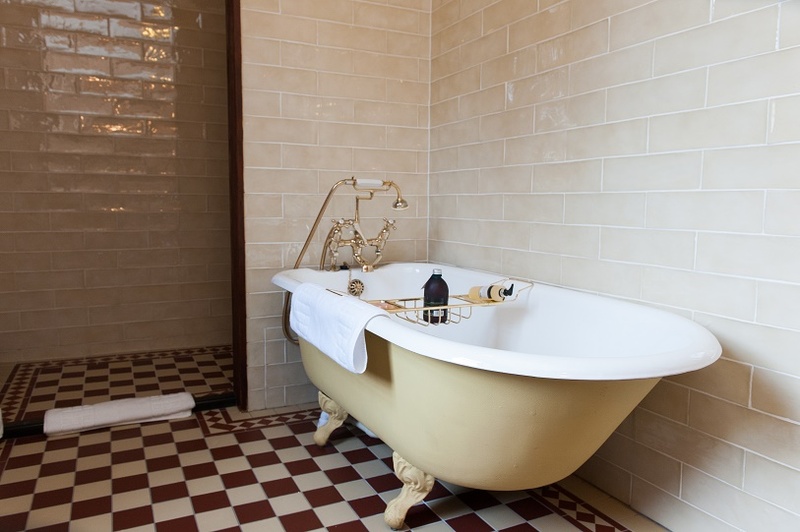 Your first thought might be to retreat to your room with your drink of choice and indulge in a deep, hot bath. 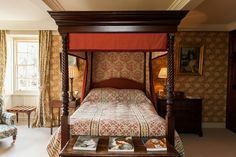 The 13 bedrooms at Aldourie, like in many exclusive use properties, are individually designed and finished with exquisite attention to detail. Your private bathroom will also be unique as well as spacious featuring either a free standing tub with shower or walk-in shower. The privacy you receive, as both a private group and an individual guest, at an exclusive use property such as Aldourie, is second to none. It’s truly worth looking for somewhere as unique and exclusive as our beautiful Castle on Loch Ness. That way you are guaranteed a luxury golfing holiday to remember for years to come. August 20, 2017 at 10:27 am. You’ve booked the experience or holiday of a lifetime with an exclusive use house party with your favourite people. Not only that but the place you’re staying in a luxurious castle and it looks out onto the world famous Loch Ness; one of the most scenic and peaceful settings in Scotland. There’s plenty to do inside the Castle but one look through any of the south facing windows your adventurous streak starts to tug. It implores you experience a boat ride on Loch Ness, no matter what, to get out on that beautiful water and truly relish the Scottish Highlands. Let’s take a dip into Loch Ness, boat by boat. If you choose your holidays for the thrills as well as the chills, you must hire a speedboat on Loch Ness. The adrenaline rush of the fresh Highlands air on your face combined with viewing the spectacular natural beauty is indescribable. Who knew a boat ride could make you feel so free. A speedboat ride straight from Aldourie’s private marina is less of an adventure and more of an experience. This type of boat ride also makes for a romantic trip for couples staying in the exclusive hire Castle. You get a lot of privacy speeding passed the Scottish wilderness with a loved one. And despite the pace of your ride it can be very relaxing, slowing down to appreciate particularly appealing spots. Don’t be deceived, however; this experience works up and appetite, what with all that fresh air coming at you at high speed. Thankfully, Aldourie’s private chef will have prepared something delicious for lunch back at the Castle. If you like your natural landscapes peppered with historic ruins and fascinating facts, then a private chartered boat cruise on Loch Ness is for you. Depending on the weather you can choose to be indoors or up on the top deck. Outside you’ll be up high in the bracing air taking in mountainous backdrop of greens, purple and yellows for miles around. Don’t worry; if you forget your wind/waterproofs there’s plenty to go around. If it’s a bit nippy outdoors then take cover down below, order a hot chocolate and let the energy and history of Loch Ness sail you into a cosy but blissful state. Kids will love watching the water ripple and foam as the boat skims through Loch Ness with its impressive force. This is a memorable boat trip for house parties of different generations to enjoy, and talk about over dinner later at the Castle. 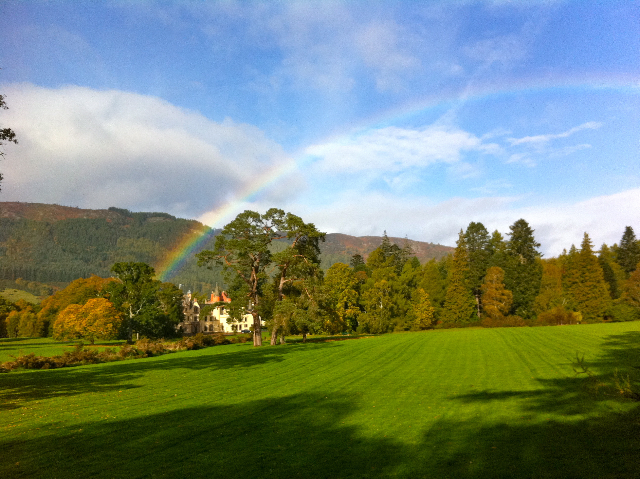 If you want to make your arrival at Aldourie Castle truly amazing, why not approach it from Loch Ness itself. 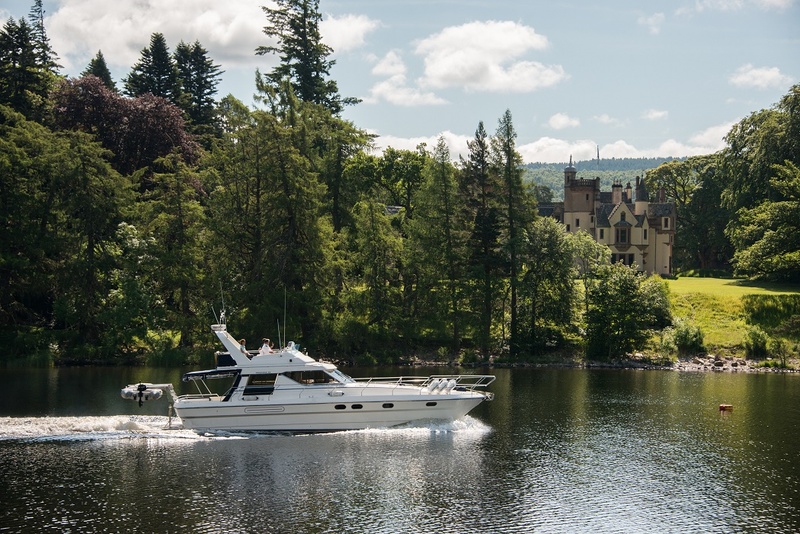 Your party of guests can board a boat at Fort Augustus or just over the way at Dores, then sail across the deep waters and let the Castle slowly come into view. This is the icing on the cake after a spectacular cruise boat ride on Loch Ness. If you’ve brought heaps of imagination on your stay at Aldourie Castle on Loch Ness then you won’t want to miss out on an opportunity to see one of the most talked about mythical creatures in history. This boat ride on Loch Ness explores the very essence of these deep waters. You will learn a lot about the myths associated with the famous Scottish landmark and by the end you feel as though you really know the water. 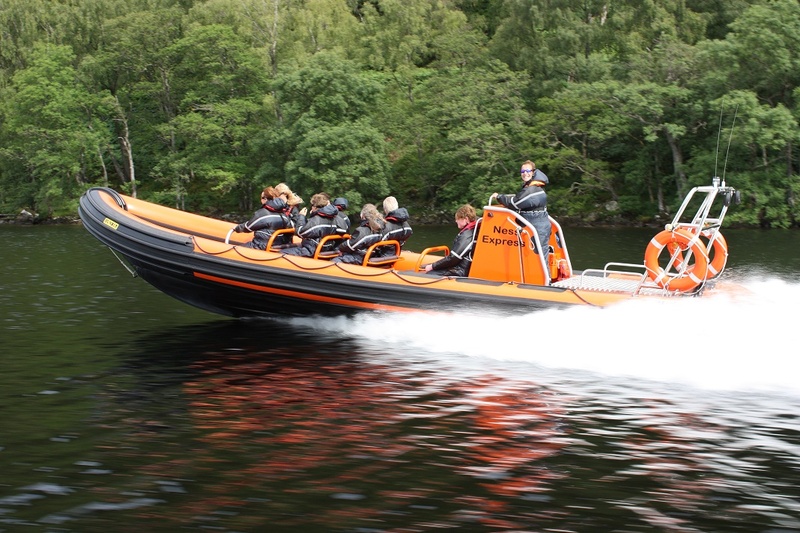 The Nessie Hunter is a great boat ride for groups who’ve booked an exclusive use stay in a private castle on Loch Ness. It’s also ideal for small wedding parties or hen parties; get everyone together the day before at Aldourie and search en masse. A bracing RIB ride on a mission is sure to be full of surprises, giggles, and most of all create wonderful memories. 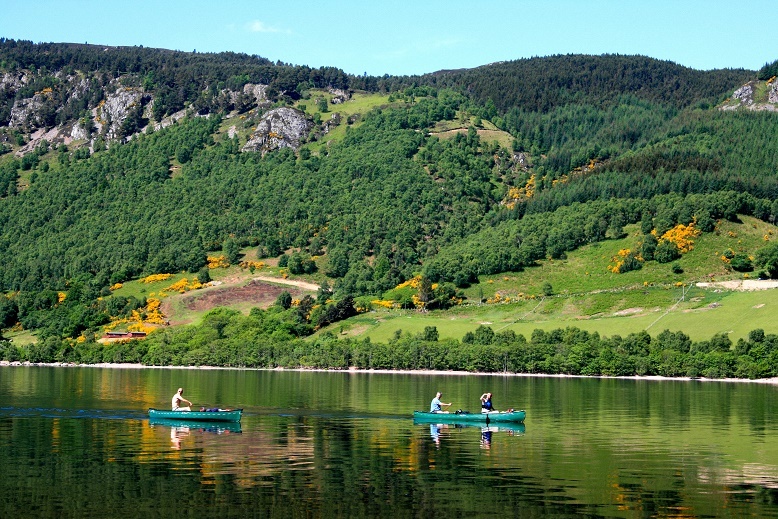 Last but certainly not least is the canoe or kayak ride out on Loch Ness. This can be as adventurous or as relaxing as you wish. 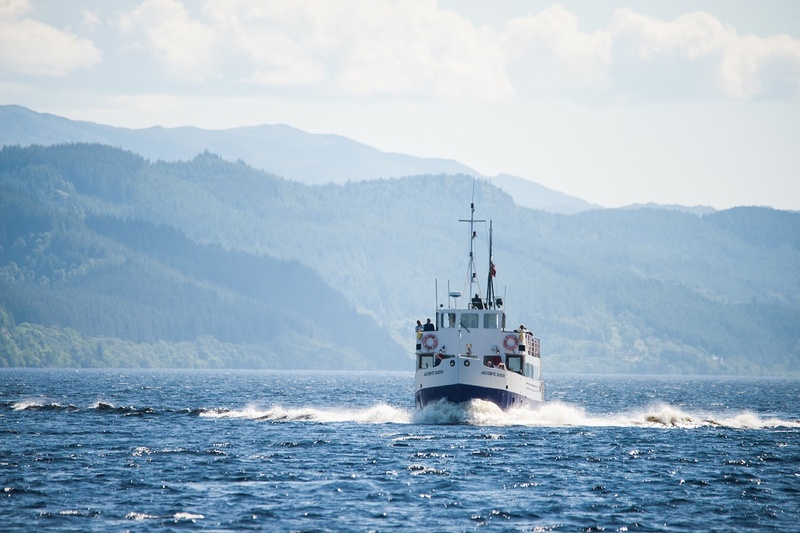 It’s possibly the most varied type of boat ride on Loch Ness you can experience simply because it suits any age and any level of expertise, from complete novice to experienced water sport enthusiast. Entire parties of exclusive use guests staying at Aldourie have been known to book a whole afternoon canoeing on Loch Ness. Children can stay more inland and be taught the basics. Others are free to explore the surrounding Highlands landscape or simply float off into the near distance to bask under a sunny summer’s sky with only the gentle lapping of water for company. Canoeing or kayaking on Loch Ness is an exhilarating way to explore the Highlands during an exclusive use stay in the private Castle. If you think about it ahead of time you can build yourself up to the experience, especially if you’re new to this type of boat ride. It’s really more a water sport and there’s an element of independence about it. So the experience itself can be quite freeing and you feel very close to nature. There’s basically just you riding the water – not much boat. There are so many ways to experience Loch Ness no matter your enthusiasm for being outdoors or ever off the shoreline. Exclusive use guests and house parties who have booked a stay at Aldourie will be given ample opportunity to experience the Loch. We have a host of suppliers for various boat ride activities and will be happy to organise your outdoor experiences in the Scottish Highlands for you. 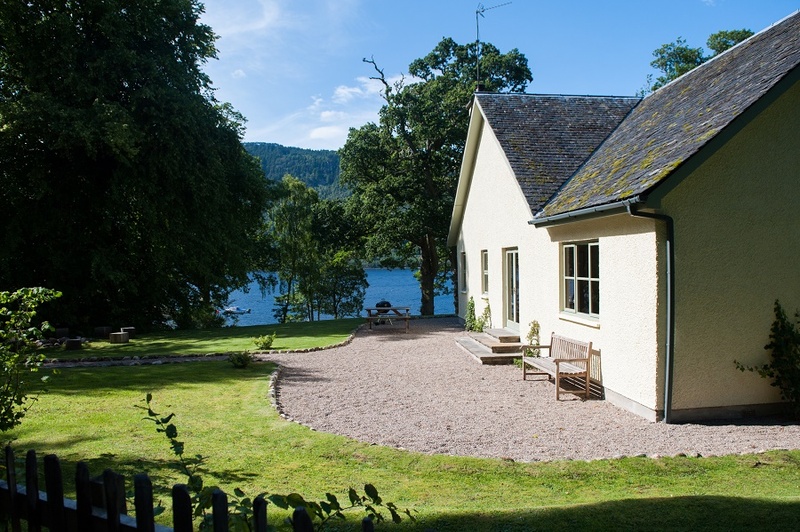 To enquire about exclusive use on the only private Castle accommodation on Loch Ness please complete and submit a contact form from the Aldourie website. July 21, 2017 at 7:51 pm. The Highland Games are events held in spring and summer in Scotland and a long standing tradition especially in the Scottish Highlands. They are a way of celebrating Scottish and Celtic culture. 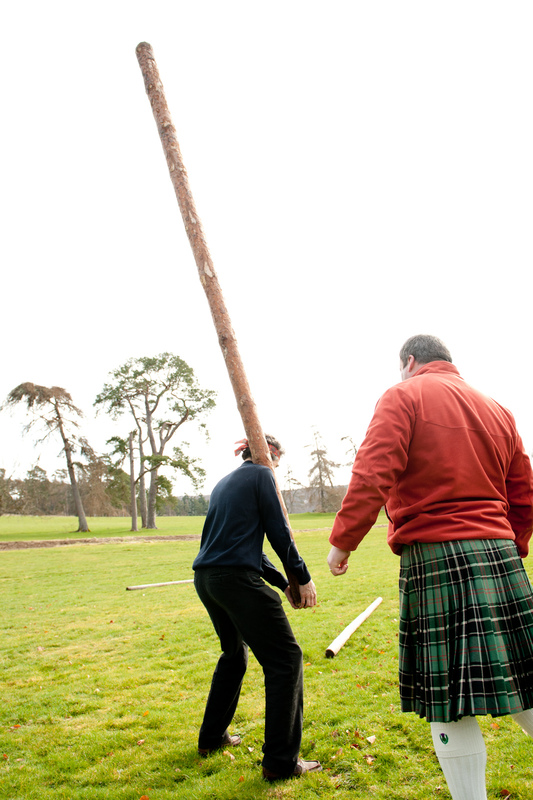 Exclusive use guests who stay here have enjoyed taking part in their own Highland Games in castle grounds. Guests enjoy various activities and events even bringing their own kilts and growing a beard especially for the occasion! Family and friends house parties at Aldourie are the perfect opportunity for holding such events. You set yourselves up into teams – or, indeed clans – and play from dawn until dusk. 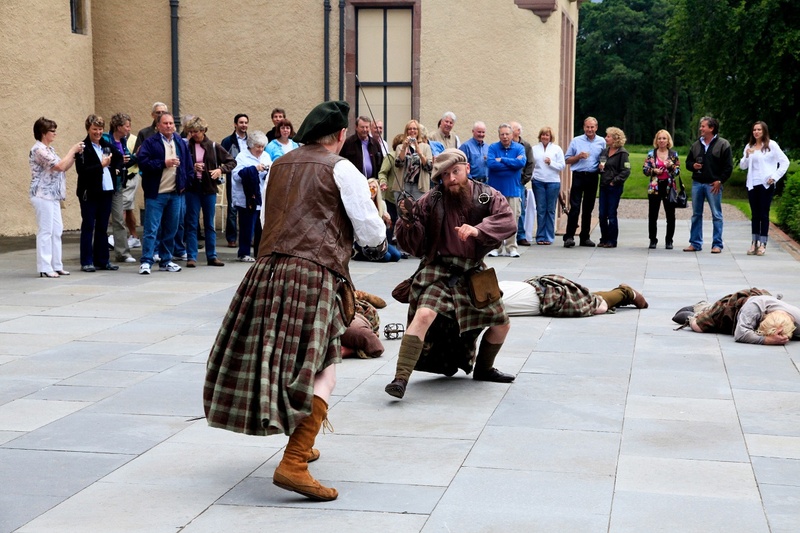 There are no rules necessarily on how to format your Highland Games in castle grounds. However, it’s good to have a little idea of what you are doing so we suggest working with our favoured supplier In Your Element to help you host the events and get the most fun out of your experience. 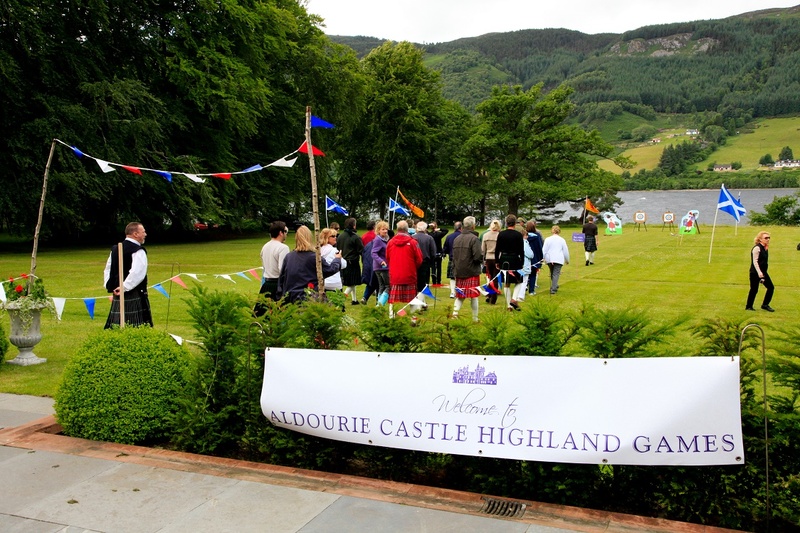 Aldourie is a private Castle on Loch Ness so you can imagine what a spectacular backdrop it becomes for the Highland Games. How do you achieve this event? A long log is stood upright. It is then hoisted by the competitor who balances it vertically holding the smaller end in his/her hands. The idea is to run forward attempting to toss it in the air so that it turns end over end with the upper (larger) end striking the ground first. The smaller end that was originally held by the competitor then hits the ground upright. Why is this events great for castle grounds? Cabers chosen by the Highland Games event company may vary greatly in length, weight, taper, and balance. These all add up to make things difficult for a successful toss. That is why holding Highland Games in castle grounds is ideal; the acres of space gives you freedom to really give it all you’ve got! How is the event judged? Competitors are judged on how closely their caber reaches ideal 12 o’clock position on an imaginary clock. It is measured relative to the direction of the run. If successful, the athlete is said to have turned the caber. This event is similar to its modern-day version, shot put, which you’ll have seen in the Olympic Games. Instead of a steel shot, however, a large stone of variable weight is often used. There are also some differences from the Olympic shot put in terms of techniques permitted. There are two versions: the “Braemar Stone”, which uses a 20–26 lb stone for men (13–18 lb for women), does not allow any run up to the toeboard or “trig”. In other words it’s a standing put. The “Open Stone” uses a 16–22 lb stone for men (or 8–12 lb for women) and the thrower is allowed to use any throwing style. However, the stone must be put with one hand with the stone resting cradled in the neck until it is released. Aldourie Castle’s supplier will advise you of the most effective techniques to use. 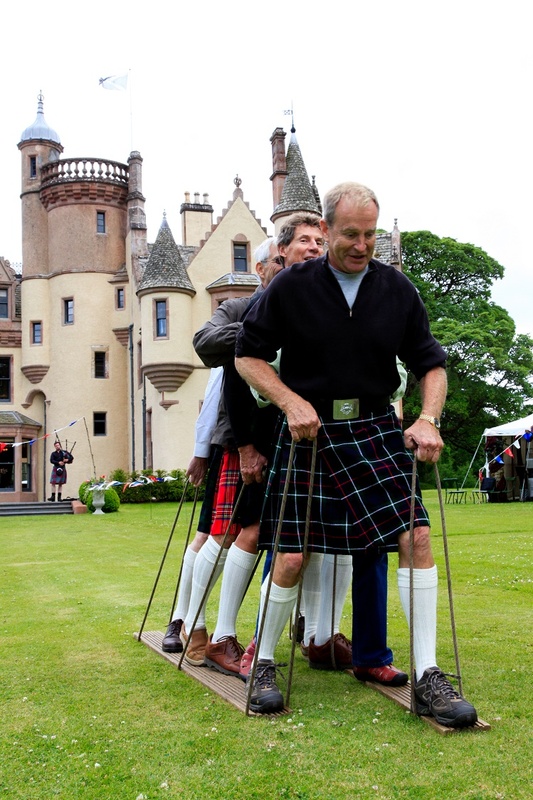 Using a stone put heightens the feeling of tradition when you and your clan carry out Highland Games in castle grounds. 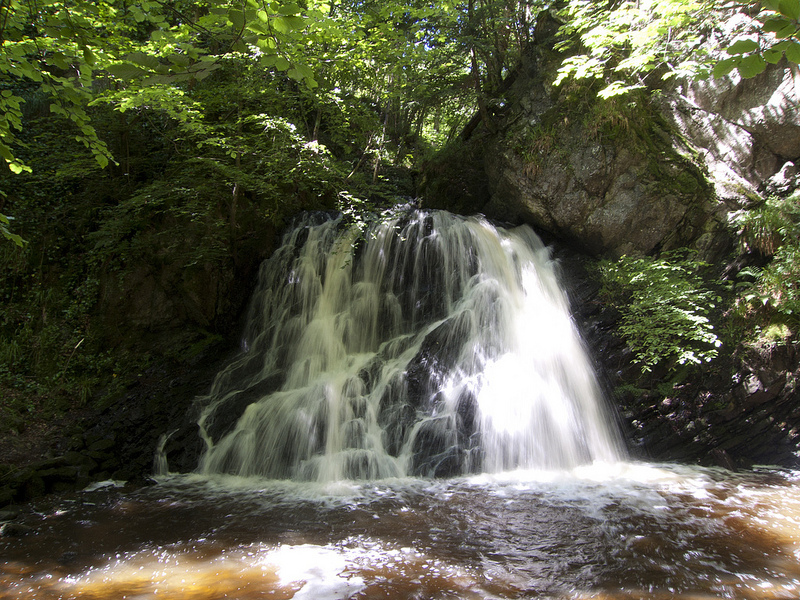 Aldourie particularly has a beautiful, wild terrain of woods and hills beyond its immediate landscaped grounds. Imagine this as your backdrop and see how far it inspires you to throw. Again, this event is similar to the hammer throw of today albeit with some subtle differences. In the Scottish Highlands event, a round metal ball (weighing 16 or 22 lb for men or 12 or 16 lb for women) is attached to the end of a shaft. The shaft is around four feet long and made out of wood, bamboo, rattan, or plastic. In Your Element will have their preferred material with which to use for this event. Place your feet in a fixed position and whirl the hammer around your head before throwing it as far as possible over the shoulder. The area allocated for this event at Aldourie allows hammer throwers to wear specially designed footwear featuring flat blades. These dig into the turf so that you can keep your balance as the hammer is whirled about your head. This gives a great advantage allowing the competitor to increase the distance attainable in the throw. More chance of winning! Just another reason to hold your Highland Games in castle grounds. A bundle of straw (known as the sheaf) that weighs around 9.1 kg for the men (and 4.5 kg for the women) is wrapped in a burlap bag. The event calls for it to be tossed vertically with a pitchfork over a raised bar, not unlike that used in pole vaulting. This event is scored is similarly to the Weight Over The Bar. There is therefore significant debate among competitors as to how authentic a Highland event it is. Some argue that it actually belongs to the country fair event list, but nonetheless is a fabulous crowd pleaser. This is different from any of the above events for its format and direct contact with another competitor. It is a real test of strength and carried out by two men sitting on the ground with the soles of their feet pressing against each other. Once seated, they hold a stick between their hands which they pull against each other until one of them is raised from the ground. Are you interested in the history of the Highland Games and not simply the chance to partake in some Scottish culture and tradition? If so, you may wish to witness the oldest ‘Maide Leisg’ competition in the world, which takes place at the Carloway show and Highland Games on the Isle of Lewis. Maybe the only thing better than holding your own Highland Games in castle grounds. For many Highland Games festival-goers, the most awaited and memorable of all is the massing of the pipe bands. This spectacular show is normally held in conjunction with the opening and closing ceremonies of the games. It’s an incredible display of as many as 20 or more pipe bands marching and playing together. It’s symbolic of true Scottish tradition and fellowship and a treat for the eyes and ears! The finale belts out a thunderous rendition of Scotland the Brave or Amazing Grace, followed by other crowd-pleasing favourites. Imagine a parade of pipers marching through Aldourie Castle Estate. Wouldn’t that be the perfect finish to your Highland Games in castle grounds? It may come as no surprise but it is the bagpipe music which has come to symbolise music at the Games and, indeed, in Scotland itself. Music at Highland Games festivals and events can also include a variety of bands including fiddles, harp circles and Celtic. However, most usually feature their fair share of bagpipe music throughout. 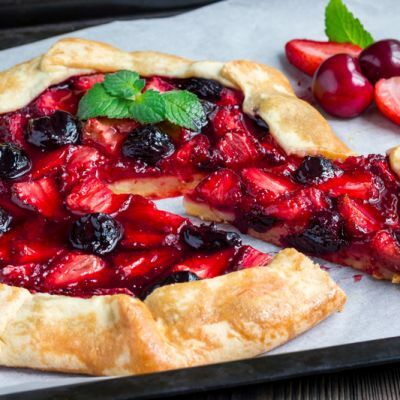 Clan tents selling/offering Scottish related food and drink – maybe have Aldourie Castle organise this for you and ask the Castle’s private chef to cook up some delicious Scottish cuisine you can enjoy straight from the tents. 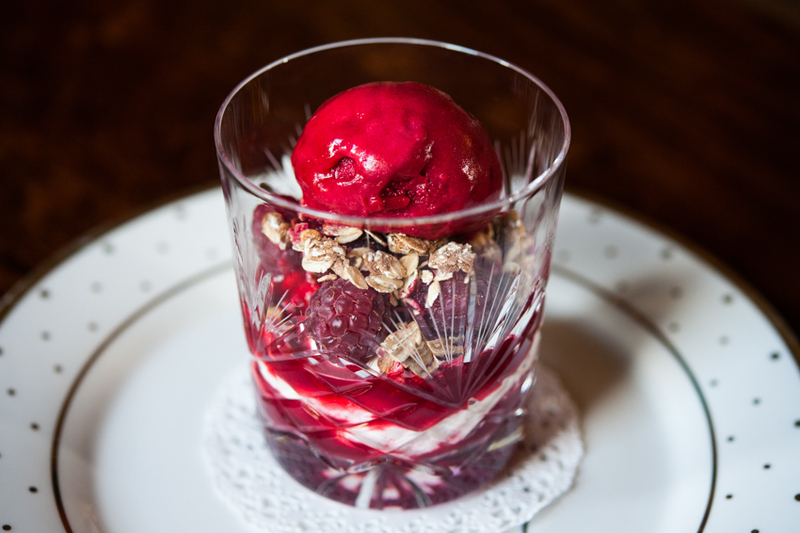 Mock battles – again, the hospitality team at Aldourie can arrange this for you with a preferred supplier. If you’d like to know more about what this entails we‘ll be blogging about a Scottish mock battle in castle grounds in a later post. Various vendors selling Scottish memorabilia – everything from Irn-Bru to the stuffed likeness of the Loch Ness Monster. 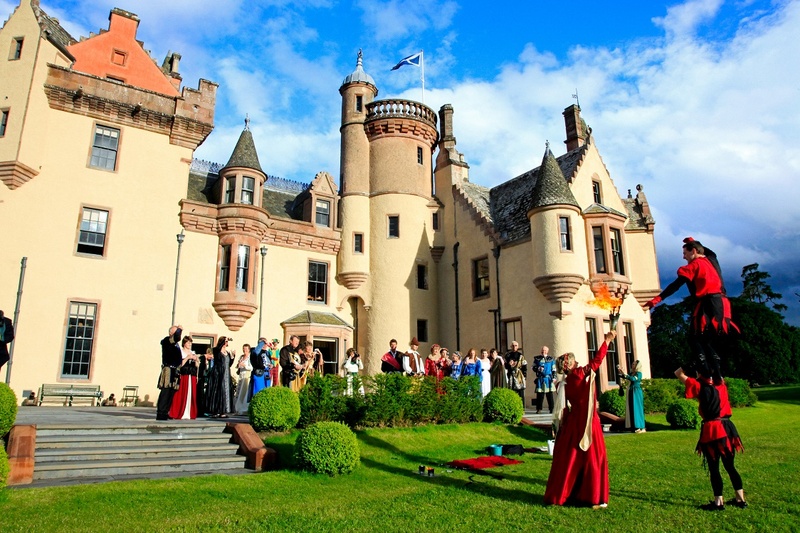 Of course, this is your private Highland Games event performed for fun with family and friends as part of an exclusive use stay in a private castle. Why not let the kids be in charge of this, see what ideas they can come up with for giveaways or event prizes. It would definitely be a learning curve in Scottish culture and yet another reason to hold your own Highland Games in castle grounds.  For more information on exclusive use house parties and holidays please complete the contact form on our website found here. May 23, 2017 at 2:22 pm. We’ve devised a hopefully useful post, based on comments and testimonials left by previous Aldourie cottage guests. It’s a list of the top 8 requirements for a luxury self-catering holiday cottage. Maybe these will feature high up on your tick list when searching for your next cottage stay. When searching for the best location to experience a family holiday or stay with friends, scenery is key. An aesthetically pleasing setting helps to create a feeling of peace and calm during a short break. This is especially important because a cottage holiday or short break to some is ‘never long enough’ so settling in quickly is a must. We think there is nowhere more scenic than the tranquil waters of Loch Ness and the majestic Highlands beyond. Or acres of mysterious woodland full of adventure and play. These sought after settings are easily viewed from any window at Pier Cottage on the Aldourie Estate. A stay in a luxury self-catering holiday cottage is nothing if not enjoyed with the people you love to spend quality time with. Reading through the testimonials of previous cottage guests we discovered that many were anecdotes. Their personal experiences were based on situations with others; conversations, family jokes, old/new stories, trying new things together. ‘Laughter’ and its derivatives were words we came across a lot. How people felt when they were on holiday, the emotions they experienced, were all positive: happy, carefree, contented, calm. We all know the importance of being in the moment and mindfulness holidays are on people’s agenda for 2017. It seemed most enjoyed some ‘alone time’ or ‘their own company’ during their short break on Loch Ness, but actual holiday highlights included the company of others. Dog friendly cottages are a must in today’s world. It was estimated in 2016 that over 40% of households had one pet or more. A pet is part of the family and are a huge part of people’s lives. They can be the making of a ‘funny’ story simply by their impulsive antics and behaviour. We surmised that guests preferred to bring their pet to their Scottish cottage holiday rather than leaving them behind. 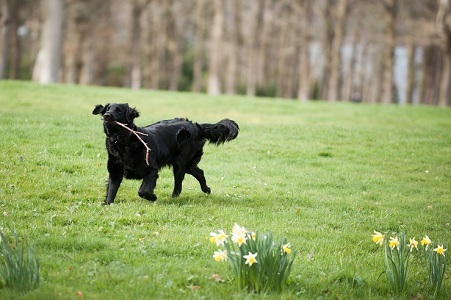 Needless to say all four Aldourie cottages are dog-friendly cottages with ample garden space for them to roam around. The area of Loch Ness and the Highlands is full of walks, hikes and trails perfect for dog walking holidays. There is many a holiday cottage that would appear to be child friendly but strangely is not. So – tip – when searching for cottage stays don’t get caught up in the showy visuals before checking the facts. We can’t imagine Aldourie without children roaming about the place, having fun. Children help adults lose their inhibitions too, simply by being carefree, being themselves. Reading comments in our guest book it was clear that a sense of fun and adventure was at the heart of a family holiday in the Highlands. One of the main pulls of a holiday cottage break, we found, is its home from home feel. People are possessive of space, and quite understandably. It gives you the freedom to be yourself and the opportunity to manipulate your surroundings to your own desires and needs. Personal outside space is just as important to cottage holidaymakers. Our previous guests have made the best memories outdoors: afternoon barbeques with friends, romantic evening drinks by moonlight and the kids playing with the dog in the garden. Privacy is also key to a peaceful holiday. All you have to do is look at Ivy Cottage’s idyllic country garden to see what we mean. Character is something very close to people’s hearts, in various forms, but particularly in buildings. Families and friends who stay in a cottage that has been renovated into a luxury self-catering holiday cottage also want to appreciate the original features. 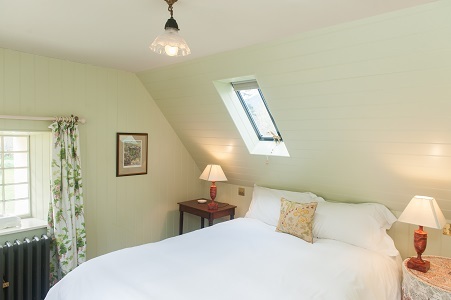 They also like to see lots of wood – particularly if the cottage is in a rural setting. And why not? It makes everything so much more authentic. On the Aldourie Estate in the Highlands you don’t have to imagine real logs burning on open fires, cosy corners and characterful beams in every room. We also confirmed our suspicions that people want to feel ‘at home’ in a holiday cottage on Loch Ness. They want to feel as though they have everything they have at home, and more. Take, for example, that essential souped up coffee maker that makes every morning a Sunday morning. Or a huge American style fridge-freezer. They mean you can stock up, for the most relaxing and efficient luxury self-catering holiday cottage you’ll ever experience. We also discovered that groups and families who stayed at an Aldourie cottage preferred the comfort over aesthetic. So when it comes to lounging on the sofa or curling up in bed, priorities would be lots of soft cushions, high arms to snuggle into and a good mattress. Holiday cottage dwellers prefer to be in striking distance of at least a few well-known places of interest. Not to cut down on travel time; in fact, driving is seen as a highlight of many cottage holidays. It can evoke a real holiday feel to be so close to famous landmarks whilst to others it’s satisfying to feel like a ‘local’ in a holiday destination. 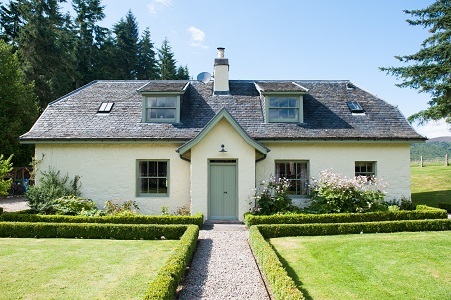 Conveniently, Aldourie Estate and its four traditional cottages are close to tourist hot spots. The city of Inverness is a hive of culture as our recently posted guide to family attractions in Inverness explains. 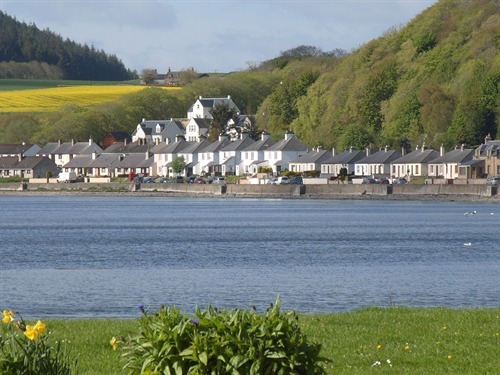 Fort Augustus is a scenic drive away, as is the famous Black Isle region. The Caledonian Canal is accessible from Loch Ness cottage stays and the southern shoreline is home to some impressive landmarks including Urquhart Castle. It is very clear people expect certain things from a luxury self-catering holiday cottage. But of course, every family and group have different requirements. Friends on a cycling holiday for instance would likely put scenery and terrain at the top of their list. Families may gravitate more towards a cottage with the latest appliances and an enclosed garden. Nonetheless, it was agreed by all our previous guests that an Aldourie cottage holiday was somewhat of a dream escape and everyone who’s ever left has wanted to return. 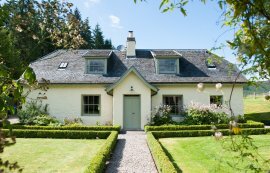 Our cottage calendar checker makes it easy to check dates for Aldourie cottages – take a peek at available dates here or call 01463 751309. March 4, 2017 at 8:49 am. When you decide to book an exclusive use stay in Aldourie Castle on the southern shores of Loch Ness, there is no need to venture much further beyond the Estate’s walls with so much to see and do on Loch Ness and in the Scottish Highlands around Inverness. Two types of tours we are concentrating on for this blog post are nature and wildlife tours and boat tours on Loch Ness. The Highlands are famous for their lochs as well as their impressive landscapes and unique wildlife, so what better way to make you, our a private house party of guests, feel at home than by telling you all about what helps make the Scottish Highlands so welcoming and wonderful. The whimsical mountainous peaks and the fascinating natural world are what keeps people coming back to Aldourie year after year. Take the Applecross Peninsula Day Trip from Inverness, a nine-hour day trip on a luxury tour that takes you to the less-visited part of Scotland, the windswept Applecross Peninsula. You will spot an abundance of wildlife native to the region and be transported to a dreamland as you soak up the dramatic views of wild Highlands’s scenery. 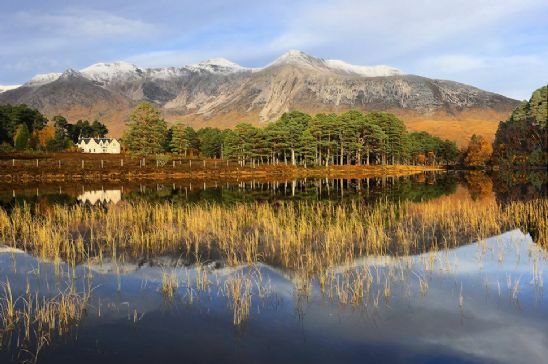 A visit to the the Beinn Eighe National Nature Reserve, Britain’s oldest in fact, will supply you with enough knowledge to understand and appreciate the history of the area as well as the nature that thrives there. Look out for golden eagles soaring overhead. You will be eager to explore the many easy trails giving you and your private house party groups the chance to discover the true wildlife of the Scottish Highlands. As you arrive in the village of Ardarroch, admire views of Loch Kishorn, then attempt the steep Bealach nam Ba (Pass of the Cattle). At the top (2,000 feet high), an extraordinary natural view will spill out before you; possibly your first sight of the Isle of Skye. 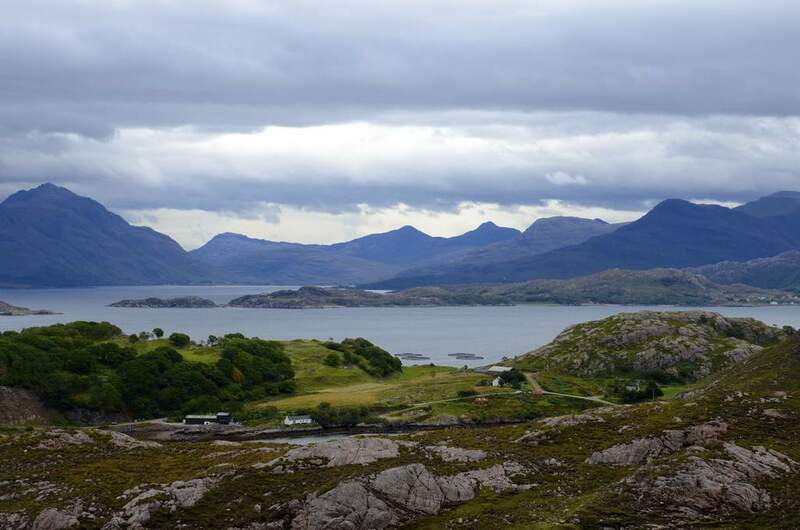 From here, take the scenic drive along the shoreline of Loch Torridon, stopping part-way to explore the town of Shieldaig. Another wonderful way to complement your exclusive use holiday in a luxury Scottish Castle is to venture out onto the wild waters of the Moray Firth, a triangular inlet of the North Sea with a stunning coastline, in the hope of catching a glimpse of the even wilder dolphin. One of the best places to spot this beautiful and intelligent aquatic mammal is at Chanonry Point near Inverness. The dolphin-spotting area lays between Fortrose and Rosemarkie on the Black Isle and the best time to see them is during a rising tide. See moraydolphins.co.uk for details on tide times. For the ultimate dolphin spotting experience, Aldourie Castle recommends the boat tours that depart from inverness. The Dolphin Spirit encapsulates many aspects in one; you will be able to admire the natural landscape of Moray Firth as well as observe the wildlife in the area including herons and otters. The thing to remember with dolphin spotting trips is how wild the animal is. That is part of its beauty; the fact that they are highly intelligent with a captivating sense of fun only adds to the delight of witnessing a dolphin in its own habitat. So, if you are lucky enough to see the dolphins that truly is a wonderful experience to hold onto. However, they are not there to perform or entertain, although their balletic dives may appear to have been rehearsed, so try not to be disappointed if you don’t catch a glimpse. And just hope they will grace you with their presence next time. February 18, 2017 at 12:21 pm. Aldourie Castle Estate is located just a few miles from the centre of Inverness in the Scottish Highlands. 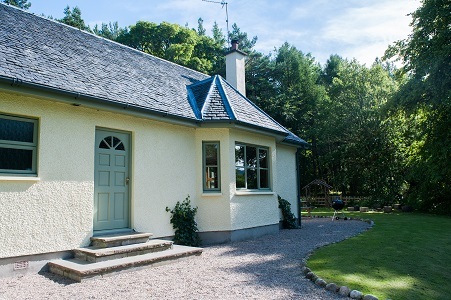 Its peaceful setting and convenient location make it the ideal place for enjoying best cottage holiday tours near Inverness. The private Estate hosts numerous guests at any one time. For example, we might have a private house party of guests in the Castle, a family of four in Gate Lodge and a group of cycling friends at Pier Cottage. Each individual or group will have different expectations and ideas for their holiday on Loch Ness. Therefore, we decided to provide a generic guide to some of the best tours in Inverness. We also made sure to encompass the variety of day trips available. It’s easy to take advantage of the best cottage holiday tours near Inverness. This is mainly because there are so many reputable tour operators providing an variety of tours across the Scottish Highlands and Loch Ness. They operate only a few miles away in Inverness and this guide comprises a few carefully selected favourites. One of the very first things our guests request is information on scenic walks and cycling routes around Loch Ness. Some like to do it alone, following a map or their noses and discovering as they go. However, others like a guide to show them the best places to walk and cycle for the most spectacular sights and views. If you are searching for the best cottage holiday tours near Inverness, be sure to include a cycling trip. Happy Tours, among its many destination tours, offers a truly wonderful tour of the mesmerising and tourist destination Isle of Skye. Once you’ve been transported up the never-ending roads that weave in and around its stunning landscape, be prepared for some serious scenery that will literally take your breath away. Stop off at romantic glens, shimmering waterfalls, wild hilly terrain and historic landmarks with an atmosphere all of their own. This varied and beautiful Isle of Skye tour also includes a stop off in the traditional harbour town of Portree. Here you can refuel with a seafood lunch ready for more unforgettable views. These include the Cuillin Mountains, Old Man of Storr and the Kyle of Lochalsh. 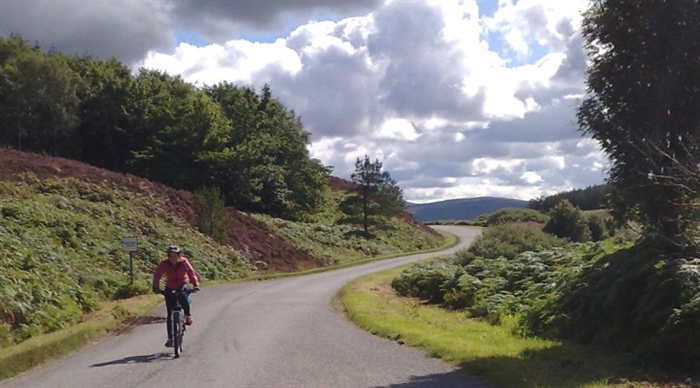 For a chance to use your own bike opt for the Loch Ness cycling tour from Inverness. This is an ideal day out if you’ve booked a cycling holiday on Loch Ness. Explore Loch Ness at your leisure with this independent one-day tour where you are completely in control of your time. You will have been issued a trusty map with set of directions at the starting point of Bellfield Park. From there, you are taken along a journey – and an incredible one at that – into miles of peaceful rural Scotland. Experience the utter joy of viewing spectacular unspoiled scenery accompanied by no other sound than the crunching of your tyres. Weave along winding country roads intermittently slowing down to capture the essence of those quaint lost-in-time villages seeping character and layers of intriguing history. Towards the end of your route, stop off in Dores, just around the corner from Aldourie Estate, perhaps for a café lunch or a bite at Dores Inn. From this spot simply enjoy your beautiful surroundings of majestic Highland hills and a glistening Loch Ness. 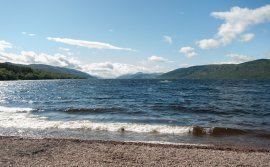 Take a break from the seat with a stroll along Dores Beach’s shoreline. You’ll quickly realise the joy of a cycling holiday on Loch Ness. Should you require them, you can hire a top brand bike and accessories from Bellfield Park hire shop. 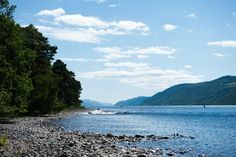 From Dores, you can either take the flat route adjacent to Loch Ness or head uphill to appreciate the unforgettable view across the famous water. There are endless whisky tours available around the shire of Inverness. We chose this one because it combines two famous distilleries in an area that houses over half the distilleries in Scotland. And both are situated in entirely different settings so you get a feel for their uniqueness. To experience some of the best cottage holiday tours near Inverness you must book at least one trip to a whisky distillery. The Speyside Whisky Discovery Tour is run by the Hebridean Explorer. From Inverness enjoy the 1hr 15 minute drive towards the heart of the lush hills of Speyside before arriving at the traditional and authentic surroundings of the Macallan Distillery complete with nostalgic-looking signage and bouts of fog-like steam filling the air. 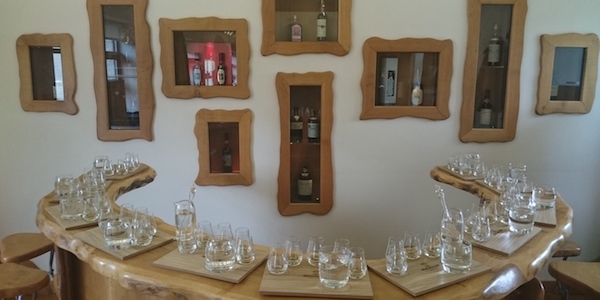 Here you will experience their ‘Six Pillars’ tour culminating in a tasting of four specially selected malt whiskies, including their 12 year-old Sherry Oak and 18 year-old Fine Oak. Afterwards, visit Aberlour village for lunch before heading to the ancient parish of Dufftown, in which sits Glenfiddich Distillery. Here, stone walled paths intercept white wash warehouses with grey domed roofs against a backdrop of thick green forest; a postcard worthy scene. You will take the ‘Explorer’ tour before tasting another four drams of signature malts. Experiencing a whisky distillery tour makes you feel as though you’re tasting the true essence of the Scottish Highlands, both literally and metaphorically. It is designed to make you feel ‘at home’, as almost any place in Scotland is. From the moment you enter the door you are greeted by genuinely friendly staff and the passion each worker seems to have for their brand, the drink itself and the overall culture that whisky evokes. Your guide will appear to emit endless knowledge and obvious pride in the distillery. Breathe in the atmosphere of peaty, malty aromas of the distillery warehouses. Then finally, arrive in the immaculate, ordered setting of the tasting room and gift shop. The entire process from start to finish is a history lesson and cultural experience in one. Whether it’s an hour long or a day trip, for that period you are transported to another world. You may well become a whisky convert (if not already a lover). Most importantly, you will always remember your last distillery tour, and look forward to the next. If you get the bug why not book on some more whisky distillery tours for the rest of your short break, taking your pick of the crème of the crop in the scenic splendour of Speyside. A fan of the dram? Have a read about three other distillery suggestions in our place of interest blog post. We look forward to posting our second installment of the best cottage holiday tours near Inverness. Look forward to details on wildlife and nature alongside boating and cultural tours around Inverness and Loch Ness.